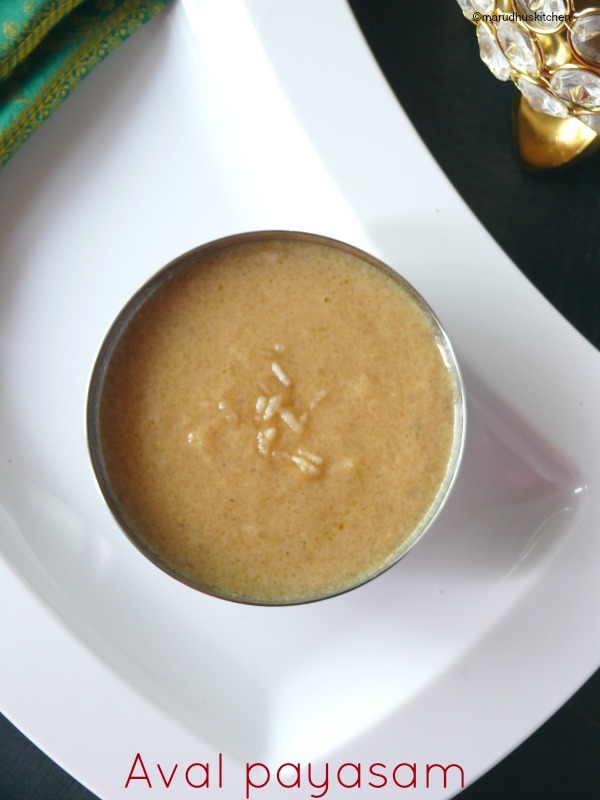 This rice flakes payasam is a great festive sweet that can be done at less time without any hassle.Usually for this cashews are roasted and added to the payasam at the end.Suddenly I thought how would it taste?if added along with poha. So,I roasted both poha and cashews together and added it to cook. To my surprise the taste was powerfully good.That too adding Jaggery makes this rice flakes payasam perfectly complete. Poha cooks so quickly that we can finish all the cooking under ten minutes itself. I cooked poha all in milk but you can add half and half water and cook.I have already done with Pasi paruppu payasam , kavuni arisi payasam and arisi thengai payasam in here,which are excellent for any festive occasions as well. 1.Just flash wash poha with water once and drain. 2.Add ghee in a pan add cashews and poha altogether and fry till cashews become lightly golden. 3.Gring coarsely and keep ready. 4.In a pan add jaggery with a tablespoon of water and bring to boil till it dissolves and switch of. 5.In another pan boil milk when it bubbles add this poha mixture cook till cooked. 6.Add necessary water to dilute it to payasam consistency. 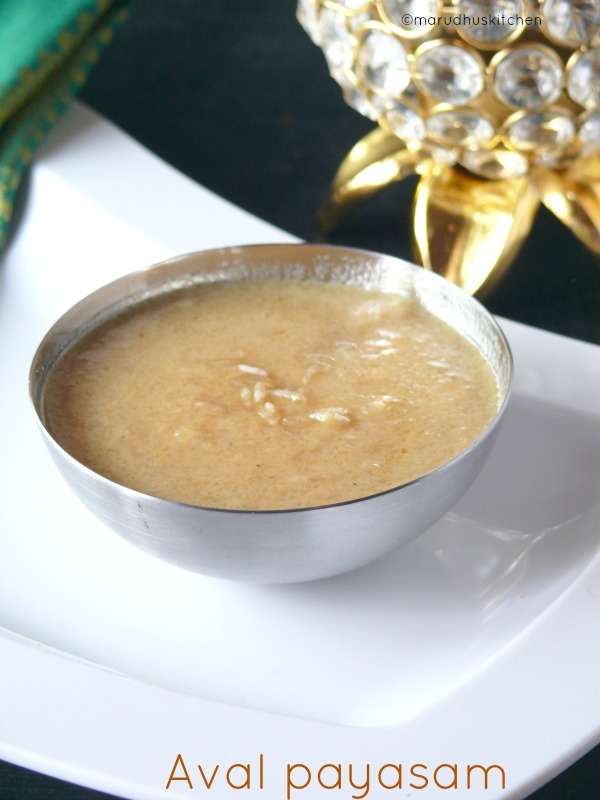 7.Filter directly the jaggery syrup into the payasam. 8.Now switch off and stir in nicely. 9.Add cardamom powder,stir and serve. Just flash wash poha with water once and drain. Add ghee in a pan add cashews and poha altogether and fry till cashews become lightly golden. Grind coarsely and keep ready. In a pan add jaggery with a tablespoon of water and bring to boil till it dissolves and switch of. In another pan boil milk when it bubbles add this poha mixture cook till cooked. Add necessary water to dilute it to payasam consistency. Filter directly the jaggery syrup into the payasam. Now switch off and stir in nicely. Add cardamom powder,stir and serve. Instead of jaggery you can very well use sugar but it gives a different taste. Adding cashews along with poha is optional. Correct the consistency by adding water when boiling itself. yummy payasam and lovely clicks! !